Information about fishing permits and fishing season. Night fishing prohibited: Fishing is prohibited between 11.00pm and 5.00am. Catches per day: Anglers may catch no more than 4 game fish in a single day in the river Inn. In Lake Sils, Lake Silvaplana, Lake Champfèr and Lake St. Moritz, anglers may catch no more than 10 fish in a single day. Minimum sizes: Minimum measurements apply to the following fish: trout and char 24 cm, American lake trout 30 cm, grayling 30 cm. Any smaller fish caught must be returned to the water. 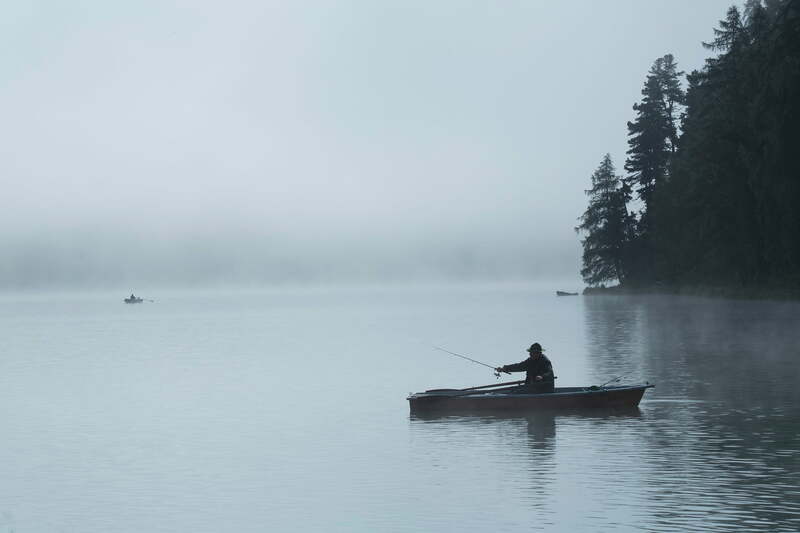 Close days: On waters with close days, fishing is not permitted on Mondays, Wednesdays and Fridays (exceptions: the opening day and closing day of the season). None of the lakes have close days. Close season: For graylings the close season lasts until and including 31 May in the whole Canton. Warning: Levels in rivers used for the generation of hydroelectric power can rise suddenly, endangering anyone standing on sandbanks or in the water. Special rights: At the two charming and trout-rich mountain lakes at the Bernina Pass – the Lej Nair and Lej Pitschen – fishing is permitted daily from 15 June to 15 October with permission of Pontresina Tourist Information.